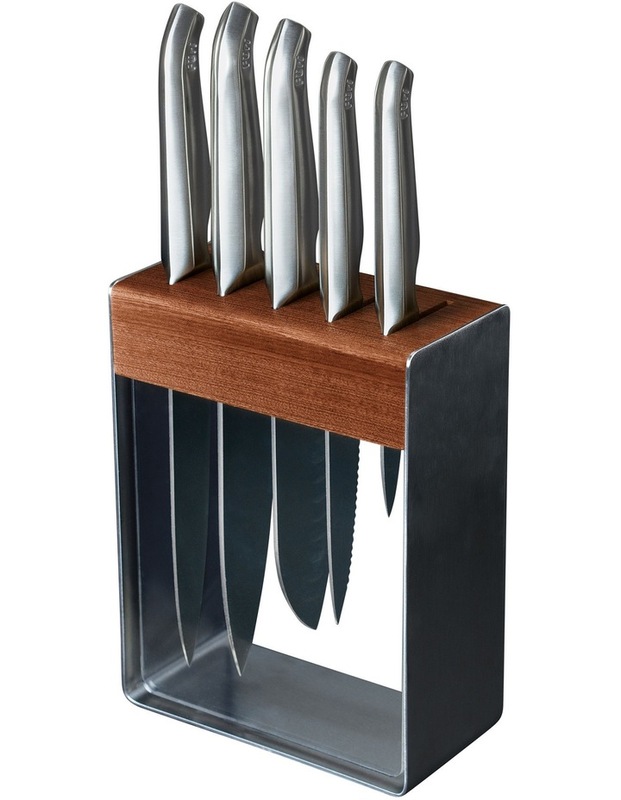 The Furi Pro Clean Store Stainless Steel Knife Block Set 7 pce is the ultimate knife set to create great meals in the kitchen. It offers a Furi Pro Paring, Serrated Multi-Purpose, East / West Santoku, Cook's and Carving Knives all stored in a contemporary and stylish stainless steel and acacia knife block that is also easy to clean. Plus a Tech Edge Diamond Fingers Knife Sharpener making keep knives extremely sharp quick and easy. Established in 1996, Furi Knives are designed by leading Australian engineers and international chefs and has won the respect, awards and popularity for its exceptional perforamnce, patented design & durability. The Furi Pro Clean Store Stainless Steel Knife Block Set 7 pce is the ultimate knife set to create great meals in the kitchen. It offers a Furi Pro Paring, Serrated Multi-Purpose, East / West Santoku, Cook's and Carving Knives all stored in a contemporary and stylish stainless steel and acacia knife block that is also easy to clean. Plus a Tech Edge Diamond Fingers Knife Sharpener making keep knives extremely sharp quick and easy.